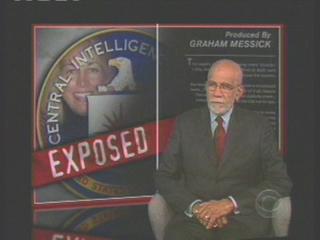 I've been clearing off my TIVO since I've been home so much lately, and what do I run across but a 60 Minutes piece from October 30, 2005 about Valerie Plame. Not about the scandal per se, but about Valerie: who she was, what she did, and the lives potentially at risk and irrepairable damage that has been done to our National Security as a result of her identity being revealed. Valerie was an undercover Agent gathering intelligence about numerous countries' Nuclear Weapons programs. She dedicated her life to protecting the National Security of the United States. She recommended her husband, Joseph Wilson, to go on another patriotic mission to Nigeria to verify whether or not Saddam Hussein had purchased uranium from there. Wilson went on this mission, almost as a favor, for the Vice President himself. When Wilson came back with the truth - that the documents saying Saddam had purchased uranium were forged, the Vice President wanted Wilson to keep quiet about it. When he did not, and instead offered up to the press what he had uncovered, our Bush, Cheney and Rove conspired to reveal his wife's identity in retaliation. Wow. You've really got to see this for yourself.